One of the most important skills a writer can develop is the ability to infuse structure into a narrative. When you can write from a basic framework, you will be able to save yourself and your readers a lot of time because you’ll be getting to the points you need to make. Structure in writing allows you to avoid tangents that may disrupt the plot of a story or the bond a reader wants to make with a character. 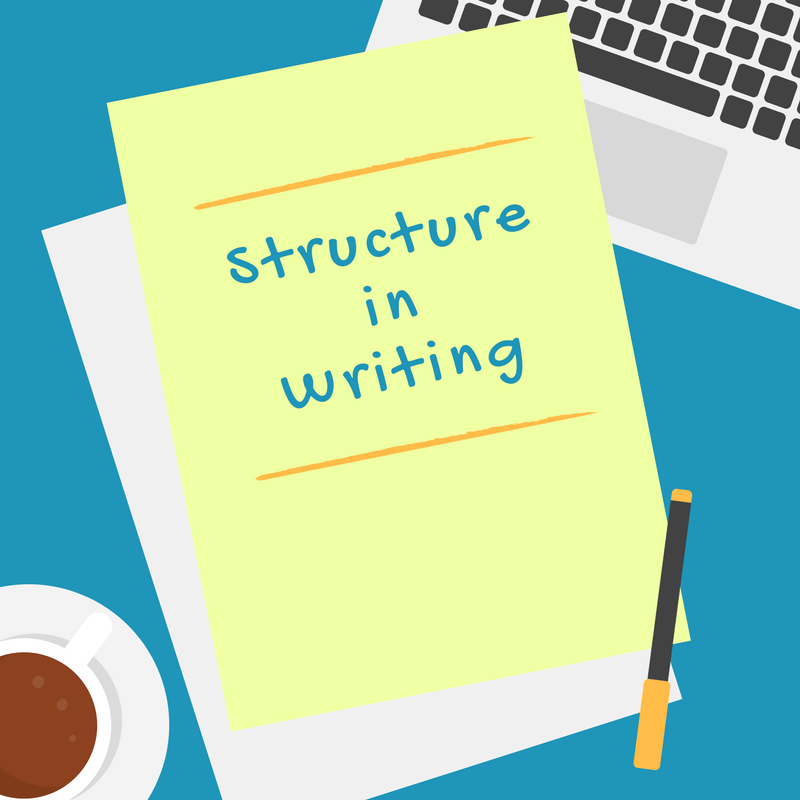 Structure occurs in many different ways and it is often dependent on the type of writing that you’re doing. Here are some examples of structure in writing and when you would want to use that type of structure. If you’re reading content on the internet today, then there is a good chance that you’re reading something with this type of structure. Headings allow a reader to see what key points are going to be made in the following content. Subheadings let readers see what specific facts are going to be offered to them or show readers where you’re going to address their anticipated questions. Headings and subheadings are generally used for formal writing assignments. You’ll find this structure in research papers, thesis papers, informal essays, and journalistic-style content. It is primarily dedicated to work that would be classified as non-fiction. Most novels are broken down into specific chapters. These are like “mini-stories” that are all tied into one main story. It’s like breaking down your day into 24 different chapters. Each hour tells a different story in some way, but all of the chapters tell the story of your day. Chapters may be titled or left untitled. They are also included in non-fiction works, especially when a different subject matter may be addressed. It is primarily reserved for works that are 20,000 words or longer in length, though some short stories may be broken down into 2-4 chapters to make them easier to read. All forms of writing are structured into paragraphs. Even if you’re reading online content where every sentence is starting a new paragraph, you’re still reading a paragraph structure. In general terms, good paragraph structure is broken down into four specific sentences for the reader. Sentence #1: This sentence summarizes what the paragraph intends to accomplish. Any key information the reader needs should be included in this sentence. It is what will pique the interest of the reader. Sentence #2: This sentence adds more details to the key points that were described in the first sentence. Sentence #3: This sentence makes one key point. It could be a quote from a character, a relevant fact from personal research, or something that pushes the plot of a story or narrative forward. Sentence #4: This sentence adds any additional information that a reader would find relevant to a story or set of facts. Any additional sentences would be used to continue adding information that is needed for a reader. A paragraph that goes beyond 6 sentences, however, is generally too long from a structural standpoint. When structuring dialogue, you’re essentially telling a miniature story. This means your dialogue needs an introduction, the main body, and a conclusion. The structure of dialogue must be present every time it occurs within a narrative for it to be meaningful. This is why many stories, articles, and other forms of written content fail. You can’t just throw in a quote here and there or have characters start a conversation out of the blue. In real life, there is preparation before a conversation starts. There is a desire to reach a meaningful conclusion when a conversation occurs. There must be a point to the conversation in the first place. “I agree,” said the second author. “I agree completely.” “And I agree with you.” The second structure is much less engaging, isn’t it? There can be many forms of structure in writing, but it must be presented in a way that is logical to the type of writing being constructed. Imagine a novel that was all headings and subheadings. Or a blog post that had a new chapter for every 50 words. When you get the structure right, you’re writing will be easier to complete, and everyone will benefit from that at the end of the day.